Match Group Inc. (MTCH) swung to profit in the fourth quarter from a loss last year, helped by higher revenue as well as a lower income tax provision. The results exceeded analysts’ expectations. The company issued revenue guidance for the first quarter of fiscal 2019. Following this, the stock inched up over 10% in the after-market session. Net income was $115.5 million or $0.39 per share compared to a loss of $9.02 million or $0.03 per share in the previous year quarter. Revenue grew 21% to $457.3 million driven by 17% average subscriber growth and 4% average revenue per user growth. Average subscribers increased to 8.2 million from 7 million in the prior year quarter. Tinder average subscribers were 4.3 million in the fourth quarter of 2018, increasing 233,000 sequentially and 1.2 million year-over-year. Looking ahead into the full year 2019, the company expects revenue growth in the mid-teens range and Tinder to continue to drive revenue growth. Adjusted EBITDA is predicted to be $740 million to $790 million, depending on precise levels of marketing spend and investments in new and existing brands. Capital expenditures are anticipated to be about $35 million. 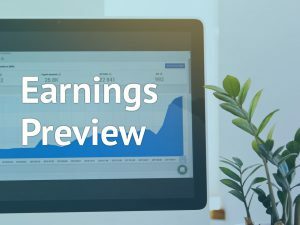 For the first quarter of fiscal 2019, the company predicts total revenue in the range of $455 million to $465 million and adjusted EBITDA in the range of $150 million to $155 million. Tinder average subscribers are expected to increase sequentially above historical levels of 200,000 to 250,000. The forecast reflects year-over-year negative foreign exchange impact on revenue of about 3%. For the fourth quarter, revenue from North America Direct climbed by 17.3% to $235.3 million and that from International Direct jumped 28.5% to $209.8 million. As of December 31, 2018, the company had $187 million in cash and cash equivalents and $1.5 billion of long-term debt. The company has a $500 million revolving credit facility, of which $260 million was utilized as of December 31, 2018. Currently, the balance on the revolving credit facility is $185 million. The stock remained in the negative territory on Wednesday as brokerage firm Deutsche Bank downgraded the online dating platform to “hold” rating. The subscriber growth in Match’s dating app Tinder is expected to slow-down over the next twelve months. The company could take time for converting potential addressable universe into subscribers after being popular across the US and Western Europe. Pricing has remained a major concern for Match Group as higher prices could impact the key appeals of Tinder. Shares of Match Group ended Wednesday’s regular session down 4.67% at $53.08 on the Nasdaq. The stock has risen over 59% in the past year and over 3% in the past three months.